Do we even remember how and where we would get all our inspiration 10 years ago? How we were able to work without seeing what we wanted, in two or three seconds? And how much time longer would it take to reunite or search for images of a recently finished work, or get to know, in one or two hours, everything about the latest trends? This power, that allows us to get and reunite lots of information in short time, can also become a problem, if we don’t keep the focus in our objectives. How many times did you visited Wikipedia for a specific reason and after some minutes, you were already reading about a complete different subject? That can be great during leisure time, but when you need to achieve a well defined goal and be concise, the web can become a trap. This is only a small sample of my weekly online inspiration. Good and concise newsletters are also a good way to get daily and weekly relevant updates. Dexigner – An amazing portal for the creatives, touching almost all the ranges of design. One of the best newsletters that I receive in my inbox, with a fine selection of works, contests and interviews. The Cool Hunter – One of the best webpages for creative inspiration. It spots the best icons in architecture, design, gadgets, lifestyle, urban living, fashion, travel and pop culture, with short text and strong and appealing images. Curiosity: in 2015 they opened a physical store in Melbourne. “We will keep everything fresh and exclusive, and the selection will change regularly so that visiting the store is interesting each time, and there are always goods here that you can’t find anywhere else.” in thecoolhunter.net. 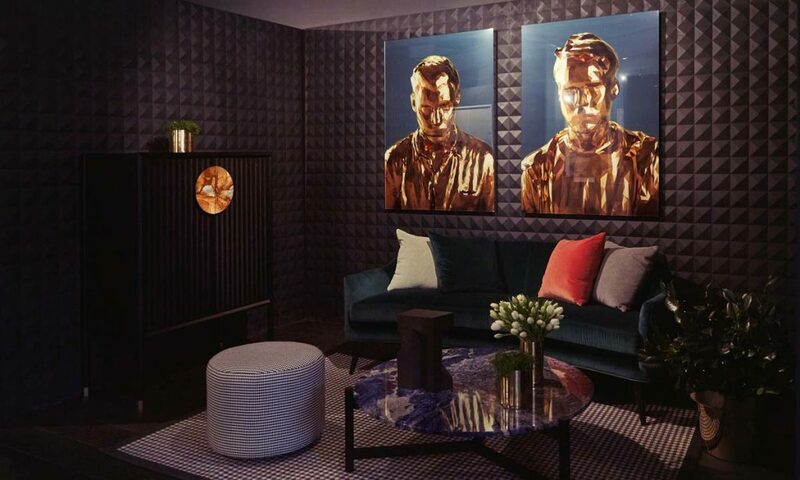 Wallpaper – Well known for its physical magazine, they show the most relevant works and spot the latest trends in architecture, design, art, travel, lifestyle, fashion and jewelry. I also recommend the visit to their online store (image above), with beautifully designed products. MOCO LOCO – A web magazine dedicated to everything related to modern contemporary design and architecture. It’s a simple webpage, with short text and fine images, good for finding almost every type of works and products. Highsnobiety/ Selectism – An online publication that covers trends and news in art, design and lifestyle, with an exquisite selection of products. Their selection is trendy and they avoid showing very commercial products. Divisare – Carefully selected architecture projects and a good newsletter. An interesting particularity is that the website contains a label called “atlas of architecture”, where you can search finished works by topics like “colors”, “post-industrial interiors”, “is ornament a crime”, “Mexican houses”, “atriums”, “lofts and penthouses”, among many others. Subtilitas – No text. Only amazing images of good architecture. One of the best websites to watch when you sit on your desk, early morning. Architizer – An huge database of architecture works, with great images. Founded by the TED Speaker, Marc Kushner, this website is a good reference when you are looking for all the latest published works in the world. With a similar focus, you can also find websites like Archilovers or Archdaily. Architonic – Here you can search for products, profiles, projects and read some articles about specific themes. Before having all this information, the website focused essentially on common bulding products with great design like fireplaces, interior accessories and fabrics, building materials, sanitaryware, among others. And this is the main reason why I use it: to search for fine components as inspiration for the projects. Monocle – a website and magazine briefing on global affairs, business, culture, design and much more. Very trendy, with an exquisite selection of information. Medium – “(…) a community of readers and writers offering unique perspectives on ideas large and small.” Follow who inspires you and keep up to date with their most recent thoughts. Great for deepening your knowledge in specific areas and to write your own articles. 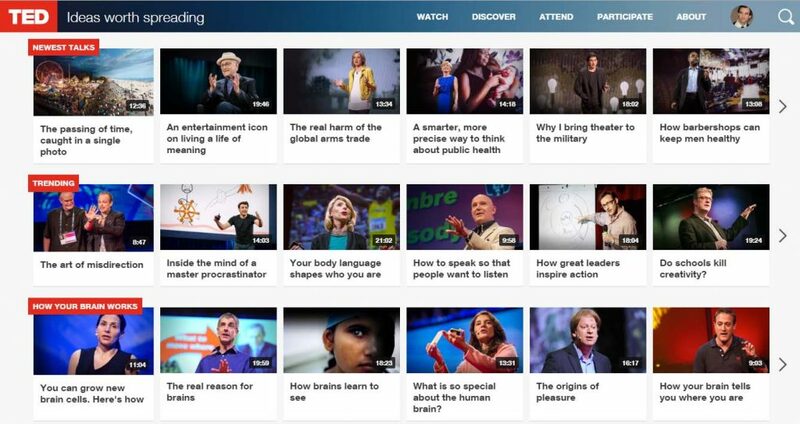 TED – What can I say about the best online platform for getting to know about the most wonderful projects, stories and ideas in the world, from science to business to global issues, in more than 100 languages? 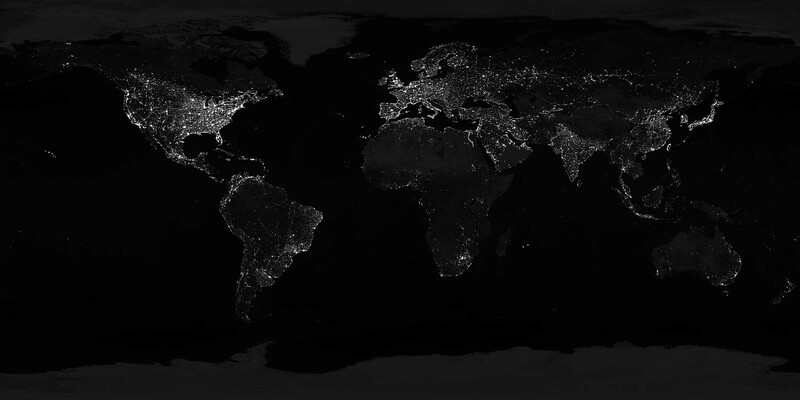 TED.com is devoted to spreading ideas, usually in the form of short, powerful talks, about important issues. If you have an specific area of interest, you can search by topics and spend hours listening to speakers, from all over the world, that give their insights about that subject. Or you can just enter, search for the most viewed talks, and get amazed by the diversity and quality of the content. Although I’ve already watched hundreds of talks, of all the areas, I’m constantly updating my big waiting list of videos, mostly about the creative area. 99u – This amazing and very well designed website provides “actionable insights on productivity, organization, and leadership to help creatives people push ideas forward.” This brand is also an amazing conference and has its own magazine. Inspiring, relevant and very actual contents, that try to empower the creative community. Springwise – A global innovation discovery engine. The newsletter has careful selected innovative ideas, that can inspire your actual business or your next idea. Also great to keep up with the latest trends. Kickstarter – “Kickstarter helps artists, musicians, filmmakers, designers, and other creators find the resources and support they need to make their ideas a reality.” in kickstarter.com. What best platform could exist to spot emerging ideas and foresee what will happen next? Harvard Business Review – Leadership, strategy, innovation, creativity, productivity, among many other relevant themes, essential to all the creative professionals. You can find topics like “managing people” or “visualizations that really work, and fabulous interviews to personalities like Isabel Allende, Kevin Spacey, Neil deGrasse Tyson… All the content has an amazing edition. Feedly – an app that works as a content aggregator, where you can follow the companies which interest you the most. Instagram – My Insta feed is always of great inspiration for my work. I try to follow people and companies from all the continents, that work in areas of my professional interest. That way, as I open the app, I get amazing images of things that are being done, in each part of the world. Different projects of different cultures, reunited in a feed that is constantly being updated. Could it be better? I follow people like the artist JR, Stefan Sagmeister, Elon Musk, David Adjaye, Jasper Morrison, John Pawson, Bjarke Ingels, companies/ brands like IDEO, Saatchi and Saatchi, Tesla Motors, TED, Herzog & de Meuron, and websites like the ones I refer above. To use our social networks as inspiration for our work it’s important to filter, so that our feeds are not full with images about, for example, cats. Select, be concise and try to embrace different creative areas and diverse types of authors. I would love to hear about where do you get the information that influences your work. Am I missing any amazing website of my interest area? Do you have any further suggestions? » post updated on the 2nd of September, with the inclusion of 99u, Monocle and Feedly. They provide you a lot of creative content with several approaches, such as media arts, technology, new trends and so on. I didn’t know about it and it looks great. They explore creativity in a broad way, what I like in particular. Thanks! Thank you Hélder. Design Milk is also on my radar, but I decided not to mention it, because it’s somehow similar to other websites that I referred. Although I don’t use to follow Monocle’s updates, it is a great suggestion. Just added it to my ‘feedly’. Thanks! Great job Pedro! 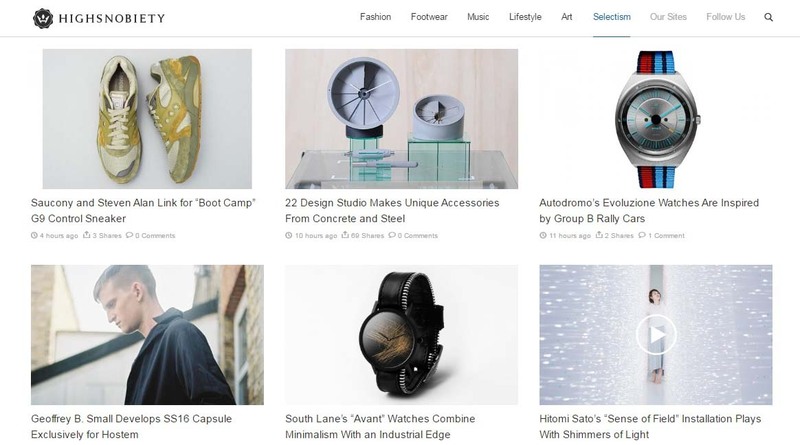 I also suggest Monocle – http://www.monocle.com and Design Milk – http://design-milk.com.